This publication documents how the Guyana Defence Force emerged out of the earlier forms of law enforcement entities that British Guiana inherited after Britain relinquished governmental control of the only English-speaking country in South America. 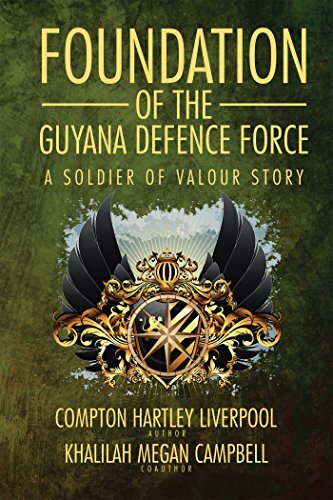 Foundation of the Guyana Defence Force – A Soldier Of Valour Story will be housed in the Local Authors Showcase collection at Chinguacousy Branch for 12 months, listed in the online catalogue and become part of the library’s general circulating collection when the showcase launches on August 17th, 2018. We hope you will consider joining us in celebration of our Brampton literary community. Thank you for your support in the Local Authors Showcase.